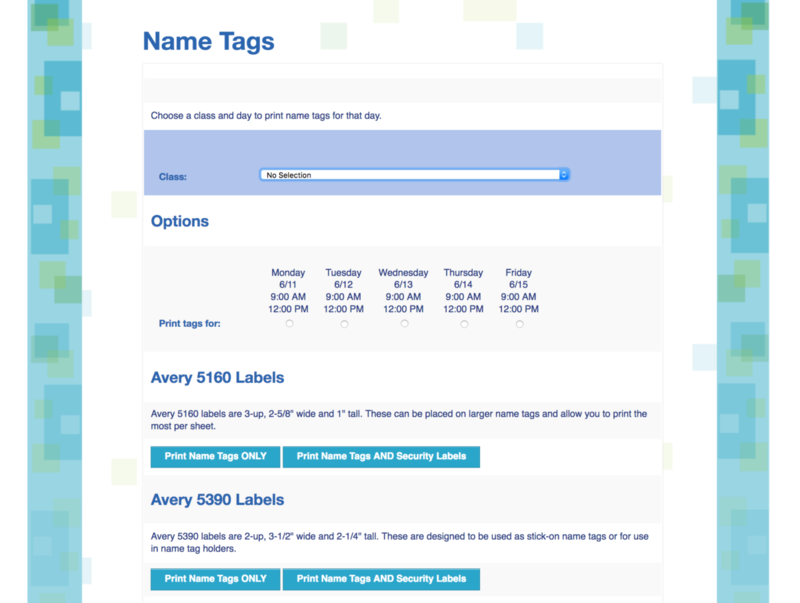 One of the best new features of KidEvent Pro to roll out this year is the ability to print name tags and security tags. You can choose to turn on or turn off the feature when you set up your event details. If you want to use the name tag feature, you can allow participants and volunteers to include their “preferred name” when they register to be printed on their name tag. That way a teacher can choose if she wants to be called “Ms. Melita” or “Ms. Thomas” or even “Marvelous Melita” on her name tag. You can print name tags by class each day, so it’s always up to date with the latest class roll. And you event get to choose which size name tag to print so that you can use them by themselves or stick them onto the nice lanyard name tags you’ve already purchased for VBS. Some churches already have a system in place for electronic check-in and security … but many do not. If you have a system you like, great! Keep using it! KidEvent Pro is not designed to replace or integrate with your existing system. But if you DON’T already have a plan in place to keep kids secure and ensure that they are only released to an authorized adult, KidEvent Pro’s got you covered! You’ll need to have the name tag feature turned on (selected) on the event set up page, then it’s as easy as click and print. You can choose to print only name tags or both name tags and security tags each day. Select the class from the drop down menu and the day you wish to print tags for. An unique alpha-numeric code will be generated for each child each day. Each name tag will have the child’s preferred name, class, and unique code. A matching sticker with only the alpha-numeric code will also be created. When kids are dropped off, the child gets the name tag and the person picking up the child gets the matching sticker with code. When picking up a child, the adult must present the sticker and give the child’s name. That way, if the sticker is lost in the parking lot it cannot be used by a stranger to pick up the child. The adult must know both the child’s name AND the code. This is an easy way to implement a common sense strategy of protecting kids while in our care during VBS. 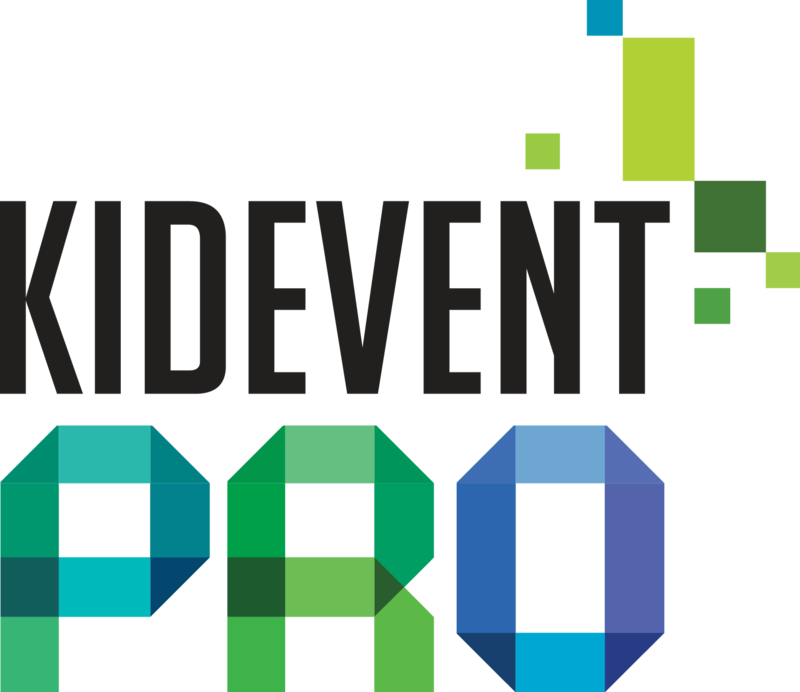 It’s a great addition to KidEvent Pro and one I’m excited to use in my own VBS this summer!